This is a five-part graphic adventure that centres around an eighteen year old girl photography student named Max Caulfield who has returned to her Oregon hometown to attend school after spending the last several years in Seattle. Max discovers that she has supernatural abilities such as rewinding time at any moment which enables her to manipulate the decisions and events, over which she didn't have control before. After having foreseen an approaching storm, Max must take on the responsibility to prevent it from destroying her town. Playing as Max you walk around the environments, interacting with people and objects, and making choices during dialogue that turn the story in a particular direction. 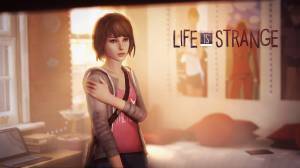 No discussions open for Life is Strange at the moment.